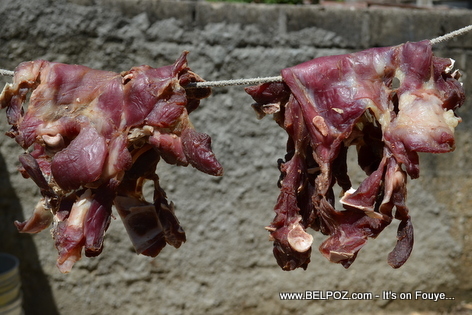 After they season the meat with some delicious Haitian seasoning, they put the meat in the sun to be dried. 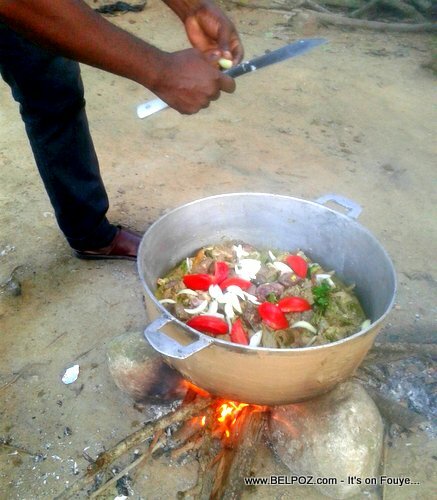 Haitians in the diaspora always find a way to bring some 'vyann kabrit sech' with them back to the states whenever they are returning from a trip to Haiti. 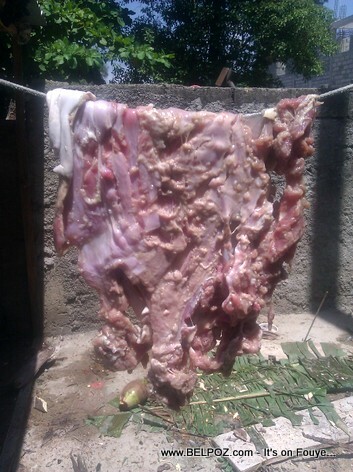 Look at this photo... Seasoned goat meat put in the sun to dry in Haiti.